According to the South Dakota Department of Agriculture, there are 31,000 farms and ranches in the state. And because each farm is unique, South Dakota farmers have hundreds of different water protection strategies. Farmers use the agronomic and land management practices that work best on their acres, taking into consideration a wide range of variables. Factors they consider include location, geographical features, acreage, watersheds, waterways, rainfall, soil types, weather patterns, types of crops grown and crop rotation, types of inputs used, use of precision ag technologies, drain tiling, tillage practices, commodity prices, financial structure and many more. That’s why, when it comes to water quality regulations, the one-size-fits-all approach doesn’t take into consideration the uniqueness of each farm. For farmer Steve Weerts of Iroquois, S.D., protecting water quality is common sense. “We’re going to do the right thing for the environment,” says Weerts. Paul Hetland, who farms in Mount Vernon, S.D., agrees. “Water quality is extremely important to us as farmers,” he says. Safeguarding water quality dovetails with Hetland’s farm management strategies. “The things that we are trying to accomplish with our crop farming contribute directly to water quality,” Hetland says. “If we lose a nutrient, that’s money that does not contribute towards our end goal and our profitability,” he says. Hetland points out that farmers want clean water for themselves and their families, too. In many parts of South Dakota, receiving adequate moisture is a concern for farmers. The same practices that help farmers capture rainfall also help protect water quality. “We are working to improve water quality through our use of no-till farming practices, through the intensity of our crop rotations and our use of cover crops,” Hetland says. That’s why Hetland works hard to retain the moisture he gets. Weerts uses cover crops, no-till and precision ag technologies to improve soil health by increasing organic matter. Healthier soil absorbs moisture better, keeping water available to plants and out of waterways. “The cover crops and crop residue will not only retain that moisture, but they will actually give you nutrients as the season progresses,” Weerts says. According to Weerts, drain tiling helps protect water quality by creating a natural filter. “Drain tiling takes the excess moisture out of the soil, which makes the soil healthier so it can absorb that moisture,” he says. If the soil is already waterlogged, any additional rainfall could wash away soil and nutrients. In addition, Weerts takes precautions to assure that water leaving the tile passes through natural filters. Weerts notes that water flowing from drain tiles is filtered naturally through the soil. “Some guys will have the water from the drain tile go into a water tank for cattle, because it’s a clean source of water,” he says. Weerts feels good about water quality protection efforts on his farm. If you have questions about farming and water quality, call the office at 605-334-0100. Why Are South Dakota Corn Farmers Planting Radishes? Twenty years ago, U.S. farmers were feeding an average of 85 people each. Today that number has jumped to 155. Land use decreased by 37 percent. Soil loss decreased by 69 percent. Energy use decreased by 37 percent. Emissions per bushel decreased 30 percent. Growers raise 70 percent more corn per pound of fertilizer than 35 years ago. Farmers today grow five times more corn than they did in the 1930s. The average yield per acre has grown from 24 bushels in 1931 to 164 today. Contest winners have averaged over 600 bushels per acre. Reducing farming’s impact on soil, water and air. Reduced tillage prevents erosion. Its adoption in South Dakota has increased from less than five percent in 1985 to 35 percent in 2010. One acre of corn removes eight tons of greenhouse gases. 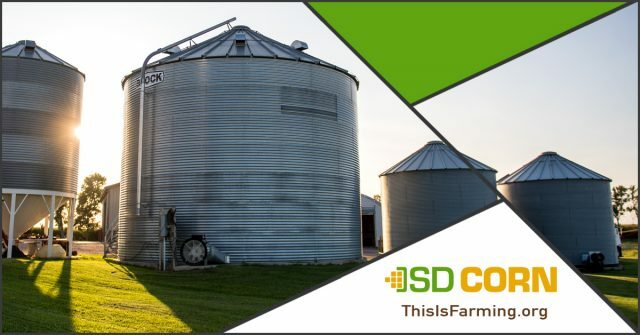 Thanks to ongoing innovations in seed, equipment and fertilizer technology, the amount of emissions per bushel generated to produce corn fell 30 percent in the last 20 years. Farmers use Global Positioning System (GPS) technology to guide equipment so overlapping doesn’t occur. How are South Dakota corn farmers sequestering carbon? Scientists have proven that corn grown in South Dakota actually adds carbon to the soil by virtue of the unique Northern Plains climate and increased use of minimum tillage practices by farmers. Over the 25 years of the study, South Dakota corn average yields have increased at a rate of 2.29 bushels per acre per year. Higher yields mean more crop residue left behind. The increased amount of residue has a significant impact in building soil carbon. Our cooler Northern Plains climate plays a key role in the equation due to mineralization, a process by which organic matter and humus break down in the soil. When there are cooler temperatures, the mineralization rates are lower. No-tillage adoption in South Dakota has increased from less than five percent in 1985 to 35 percent in 2010. Minimum and no-tillage production means there is more residue left behind in cornfields. Those practices also mean fewer trips across a field, resulting in even greater environmental benefits. South Dakota farmers are protecting natural resources. Advances in seed science, machinery and precision farming tools help farmers grow more with simplified weed control and reduced chemical applications. One acre of corn removes eight tons of harmful greenhouse gas, more than what is produced by your car annually. Because of innovative fertilizer application methods and frequent soil testing, American farmers grow 87 percent more corn per ounce of fertilizer. Planting cover crops and/or moving to longer crop rotations allows farmers to naturally manage soil fertility, quality, water, weeds and pests – and improve farm habitat for wildlife. Reduced or no-till planting conserves soil and water and reduces soil erosion and fuel usage. No-tillage adoption in South Dakota has increased from less than five percent in 1985 to 35 percent in 2010. Reduced tillage and other farm management practices have decreased soil erosion by 37 percent in 20 years. 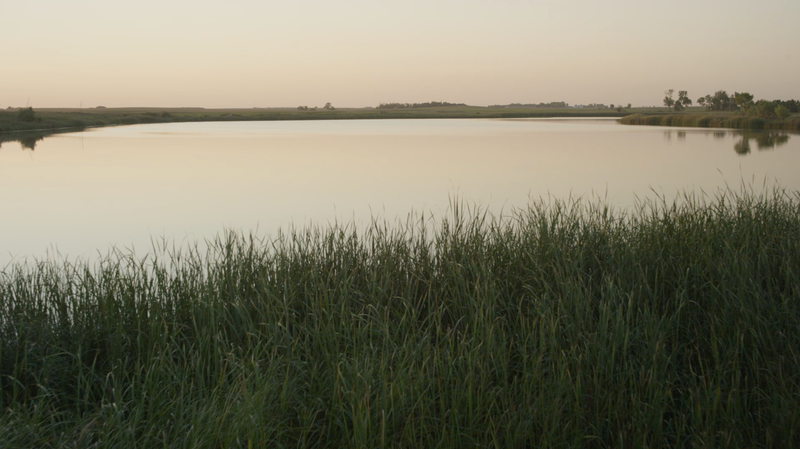 South Dakota farmers protect water quality. Farmers work hard to protect streams, ponds, rivers, lakes and wetlands. By keeping water edges in their natural state, we help control runoff and erosion and allow water insects, animals and fish to thrive. Cover cropping helps reduce soil erosion. Natural vegetation “filter strips” intercept and trap pollutants and soil from fields before they reach waterways. Furrow alignment reduces the amount of runoff from rain or irrigation. Diversion channels send runoff to safe areas and prevent excessive erosion. Buffer strips and grass waterways in ditches capture sediments or nutrients and prevent erosion. How drain tiling helps the soil. Reducing storm water runoff and downstream flooding through absorption. Reducing water damage to public roads. Decreasing crop loss due to drowning. Increasing soil surface temperatures, which helps seeds germinate. Allowing plant roots to grow deeper into the soil so they can absorb more nutrients. Providing enough oxygen for plant roots to mature properly. Increasing the number of days available for planting and harvesting crops. Improving soil structure by avoiding soil compaction and structural damage. Promoting energy-conserving farming practices such as no-till and conservation tillage. Reducing loss of sediment and nutrients. Allowing for more efficient use of resources.